While returning from Shimoga after a monotonous drive, we decided to explore an interesting place before reaching Bangalore. One such place we found along was 'Keresanthe' and a board directing us towards this village. Though our GPS directions varied from the ones on the board, we stuck to and followed the board directions strictly. Few inquiries here and there on our way ensured that we reached the right village but sadly, our GPS was adamant until the end to accept this place as Keresanthe. On reaching the village we located the Mahalakshmi temple, a temple dedicated to goddess Lakshmi.This temple architecture bore close resemblance to the later Vijayanagar Style. Later on, when we inquired the locals about the presence of any other similar temples in this village, their answer was a firm no.Then luckily, an elderly lady informed us about a ruined town nearby housing a few old ruined temples. In no time we reached that town and sighted many ruined temples. At the first look, it was obvious that these were built by the Hoysalas. The first temple we visited here was the Sambhulingeswara temple, a trikuta (three celled temple) dedicated to Lord Shiva in the form of a linga, Lord Kesava (Lord Vishnu) and Lord Surya (Sun god). As the entry to this temple was blocked by overly grown thorny bushes, we had a tough time getting into the temple and were shocked to see that the entire temple had been disturbed in order to find the presence of rumored treasure and today, this place is nothing but a bats den. Hereon, we visited the temple dedicated to Lord Janardana (Lord Krishna), an Ekakuta (single celled temple) with a very long Mukhamantapa. This temple was no different from the Sambhulingeswara temple, being entirely in ruins. Good find. But sad to see them in ruined state. I do agree! It is indeed a great find, but so sad to see it in ruins! So much beauty and history -- lost!! Terrific photos as always!! Thanks for sharing!! 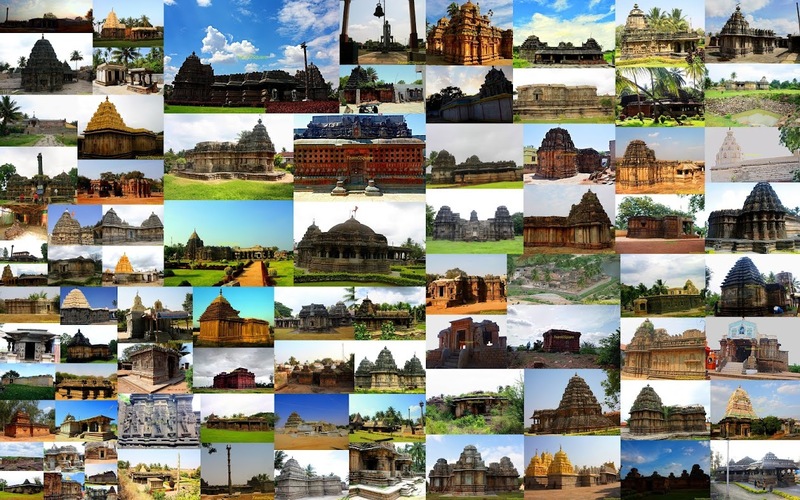 Temples of incredible beauty and amazing architecture in such shocking and callous state of redundancy. What is ASI doing completely ignoring our heritage and history ! Amazing find! Appreciate your patience and perseverance! Villagers only should take it up as their treasure and restore it at first. Then ASI can pitch in for their expertese. If we dont care our backyard who will? Another breathtaking find! Can't stop admiring the age old carvings, it's great that you are documenting it for all of us to see. Thanks for sharing. Although it is a shame these temples are in ruins, it is exciting to find and explore something that has almost been forgotten. i am sorry they are in ruins, but they still hold much beauty. Goo0d to know about this place. There is so much to discover here. Wonderful photos and post, Thanks for sharing. I am amazed how do you find such treasures? Great pics, thank you so much for showing.